in their first official photograph two months ago. Princess Estelle, Sweden’s second in line to the throne was officially christened at the royal chapel in Stockholm. 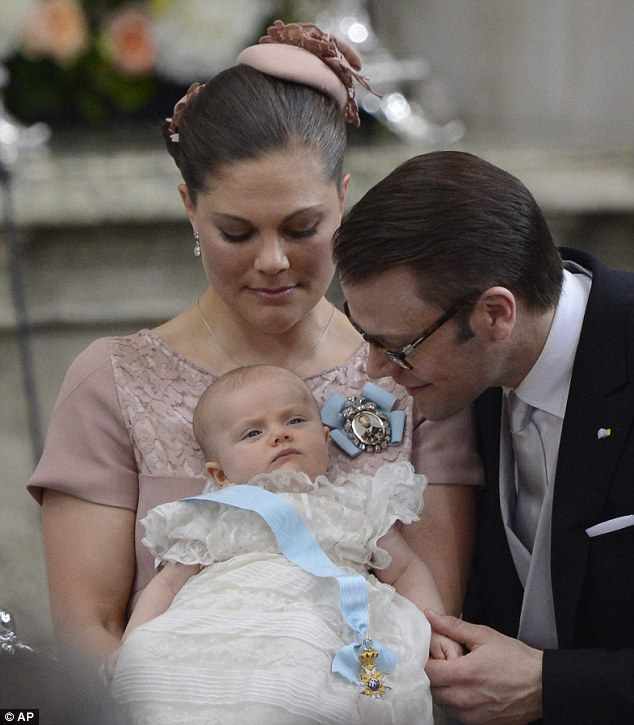 The two-month old princess is the first child of Crown Princess Victoria and Prince Daniel. Her full name is Estelle Silvia Ewa Mary. 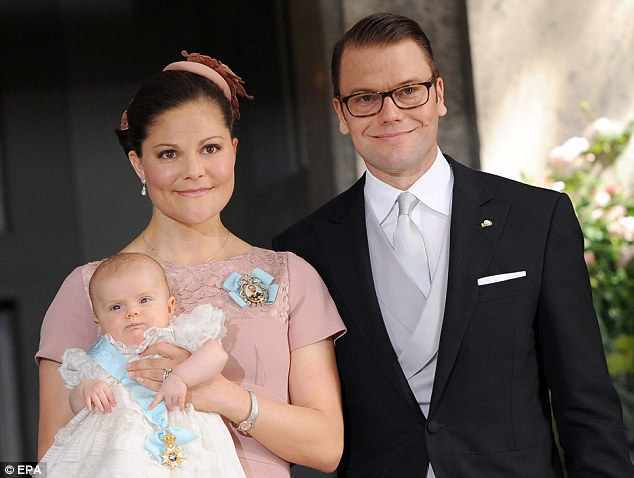 She was wearing the same baptismal gown worn by Swedish royals since 1907. The christening was the biggest royal event in Sweden since the marriage of Crown Princess Victoria to former gym instructor Prince Daniel two years ago. It was presided by the Archbishop of Uppsala. 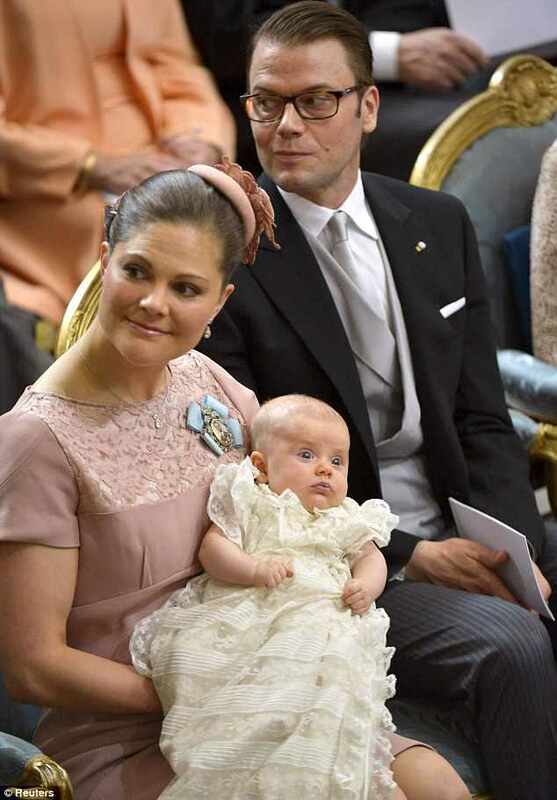 Queen Margrethe of Denmark, together with Crown Prince Frederik and Princess Mary, fresh from the christening of Princess Athena, flew to Stockholm to witness the event. Prince Carl Philip, Prince Willem-Alexander of the Netherlands, Crown Prince Haakon of Norway, Crown Princess Mary of Denmark, and Anna Westling were the child’s godparents. 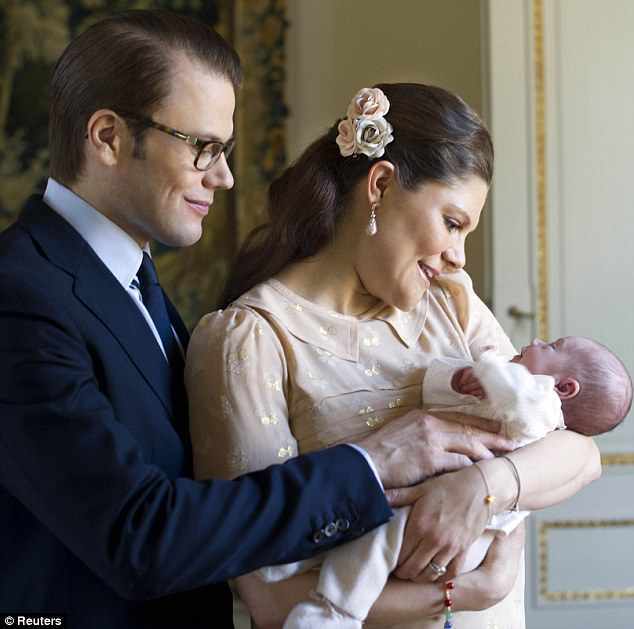 Princess Estelle’s christening is perhaps the largest gathering of royals in Europe this year, next to the recent Diamond Jubilee lunch in Windsor. Second in line, surely. Victoria is the heir apparent, so the baby is the heir presumptuous. Oh, yes. I'm sorry. The baby's the third in line... Correction done.